If you are looking for a new way to make some side money this summer, (and who isn’t?) I found out about a very innovative new service where you can become a ride share driver, without using your own car. Say what? 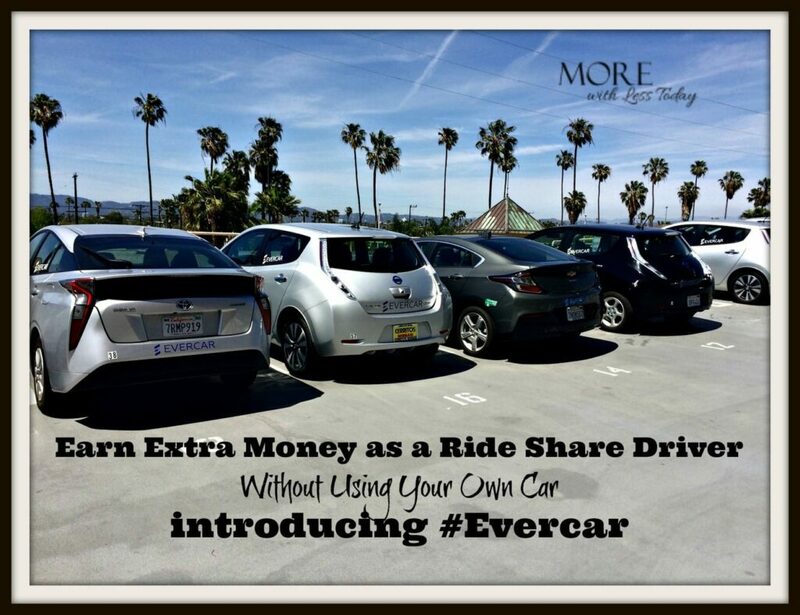 Yes, Evercar will rent you one of their top notch electric cars for $5 an hour so you to make some nice side money driving for Uber, Lyft, Postmates, DoorDash and all of the other delivery services that seem to be popping up daily. Plus, the nominal hourly rental fee includes unlimited miles, fuel, maintenance and insurance. And you don’t have to keep your own car clean, or is that just my issue? It doesn’t make sense not to try them out. If you are a Los Angeles area driver like me, I don’t have to tell you that the ozone layer is bad, and that there are tons of vehicles on the road. 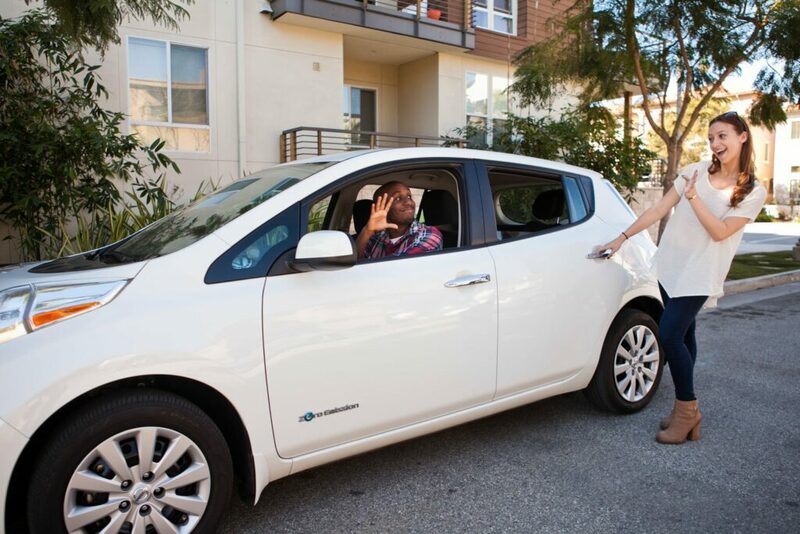 By using electric cars, Evercar drivers have displaced nearly 10,000 gallons of gas and saved 85 metric tons of CO2 from being emitted. My watery eyes say thank you. I bought a hybrid car last August and I smile every time I pass a gas station. It is one of the best decisions I have made. I toyed with the idea of doing some delivery driving on the side but I did not want to put all those miles on my car. Now Evercar has come up with a solution— you use their cars. It’s a pretty innovative idea, don’t you agree? I know several people who are ride share drivers and they love the flexibility plus the money is good too. My friend Arlene is driving for Uber. She was laid off from her position as an office manager. Her intent was for ride share driving to be a temporary gig until she found another job, but she loves it so much she says she is never going back to an office job. As you might expect, Evercar is growing as the word is getting out. 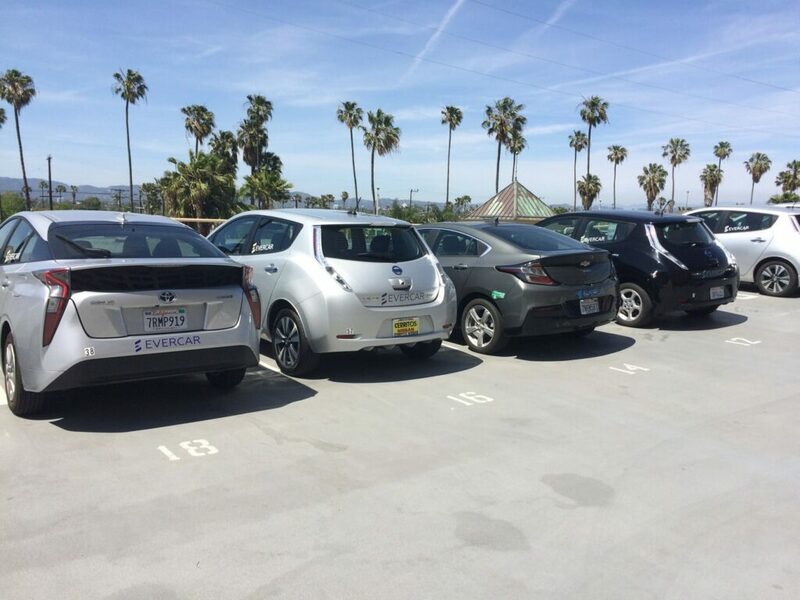 Right now there are at least 60 shared Evercar vehicles on the road in Los Angeles county and there are 300+ drivers. They are planning to put about another 1,000 more environmentally friendly cars on the road soon. I’ll see you in the carpool lane! 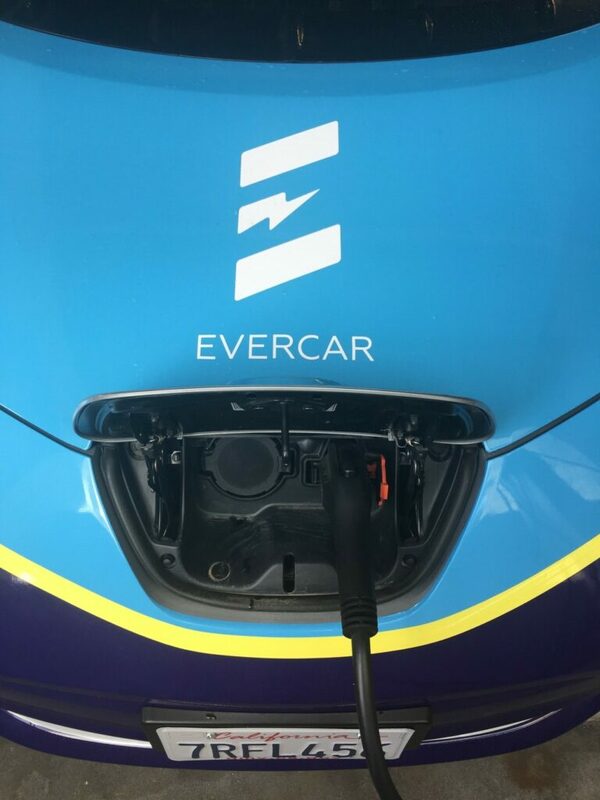 Evercar has vehicles in Downtown Los Angeles, Hollywood, Santa Monica, Marina del Rey, Inglewood, and Redondo Beach with plans to continue adding locations more locations around Los Angeles County throughout the year. If this is something you have been thinking about. Get more information from Evercar and be sure and share this with anyone else who has been thinking about becoming a ride share driver. To find out how you can become an EverCar registered driver visit https://www.myevercar.com. Be sure and come back and tell us about your experience driving an Evercar. Now what are you going to do with all that side money? Ok, you don’t have to tell me that…. This is a sponsored blog; while the views expressed here were genuinely mine, consideration was paid to me by Evercar to review this product. This is actually pretty awesome. I would totally participate in this if I lived out in LA. A good friend of mine does ride share. I will have to send her this post. She loves it and makes extra money and meets new people. Very cool. This is such a cool system. I’m glad that there is a growing ride share business that it actually helping to cut down emissions. This sounds like an awesome opportunity for kids to save, especially the ones going off to college this coming fall. This is the first time I’ve heard of the service but I’m sure it will help a lot of people! Now that’s some clean service right there. I don’t see anything bad with it and I bet it will be an industry standard soon! Wow, cool idea! Aside meeting new friends, I can actually save real money! This is an amazing share! Electric cars are best for our ecological system, and they require less maintenance also. Renting an electric car is a very good concept and I nice initiative. I like the idea of saving and having new friends but what I like most with this concept is that you help conserve the environment! This is really cool. I don’t live there but I’d love to become a ride share driver if that ever changes. That is a beautiful car. I think electric cars are awesome. I would love to be able to own one someday. I didn’t realize you could rent cars for so cheap to use for this purpose. If I lived in a bigger area, I would certainly do this to make some extra cash. What a neat way to meet other people as well! This is a great opportunity to earn extra money. $5 is definitely worth it, considering how much you can earn from driving services. Electric cars are really good, my cousin has one and she loves it so much. Evercar sounds like a great service, which is really innovative & it could be so interesting to become a ride share driver. I would always support anything that is good for the environment & I would love to get more information on the same. Hey, that is something new. My first to hear of it! This is pretty cool. There’s always something cool (environmentally speaking) happening here in LA. We need to get a hybrid!! Wow – the things they come up with these days. So clever!